The Joyner Law Firm is based in beautiful Colorado Springs and specializes in defending clients facing DUI, criminal and traffic charges. After serving honorably in the United States Marine Corps, John got his undergraduate degree from UC Berkeley. He then moved to Colorado to attend law school at the University of Denver. During law school, John spent two years working for a criminal defense firm. He also participated in the Denver Law Criminal Defense Clinic where he represented underprivileged clients in criminal matters and record sealing cases. 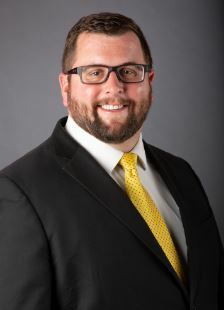 After law school, John worked as a Judicial Fellow for the Honorable Judge Michael McHenry in the Fourth Judicial District where he focused on research in criminal and civil matters. John then accepted a position as a Deputy District Attorney with the 4th Judicial District Attorney's Office in El Paso County where he prosecuted traffic, DUI and misdemeanor cases. John worked for a civil litigation firm in Denver before opening his law practice in Colorado Springs.